"Windows Phone 7.5 is gorgeous, classy, satisfying, fast and coherent. The design is intelligent, clean and uncluttered. Never in a million years would you guess that it came from the same company that cooked up the bloated spaghetti that is Windows and Office. 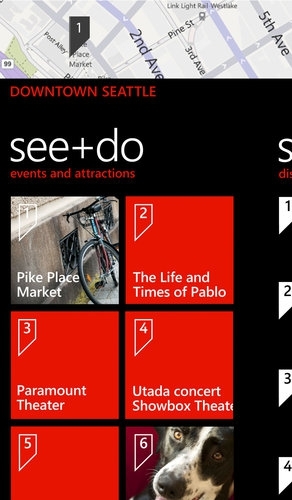 Most impressively, Windows Phone is not a feeble-minded copycat. Microsoft came up with completely fresh metaphors that generally steer clear of the iPhone/Android design (grid-spaced icons that scroll across home pages)." David Pogue, New York Times columnist, Missing Manual publisher, and Emmy-winning CBS new correspondent knows a thing or two about the tech industry. If you are familiar with the Missing Manual series of books from O'Reilly Media, you will also be aware that David knows a lot about the Mac platform and all things Apple. So, it is with quite a bit of interest that I read his October 26 column on Windows Phone 7. In short, he is very impressed with it. The column covers both the shortcomings and nice features of the platform, including the new audio and visual searching, character recognition, translation, voice recognition, Xbox integration, and more. Pogue concludes the column with some analysis of why Windows Phone 7 is not as successful as you might expect, and he has hopes that the success will grow.